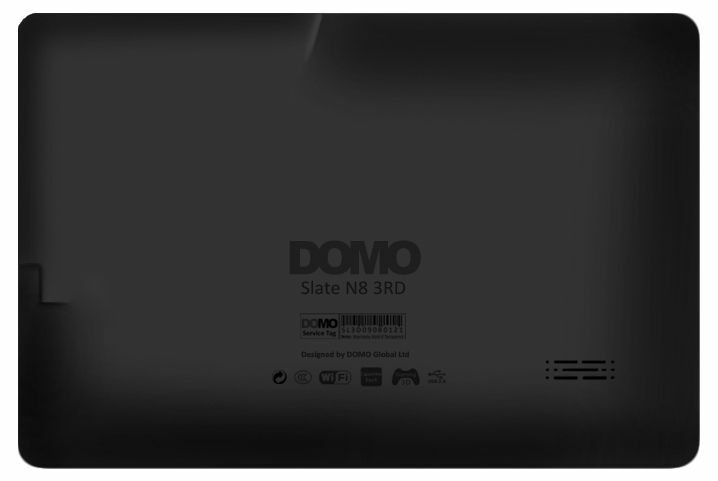 Today, we have with us the DOMO Slate N8 3RD tablet. The tablet is available to users at Rs. 4,990 making it one of the best buy options available in the market, maintaining good quality of hardware and scores high on raw performance. The front of the device houses a 5-point multi-touch enabled capacitive 7-inch LCD widescreen display that boasts of a resolution of 480x800 pixels, giving it a 240ppi pixel density. The display also has a 16:9 aspect ratio ideal for watching videos. Under the hood, a 1.2GHz A13 processor along with 512MB of RAM powers the device. For its graphical capabilities, it has the Mali-400 GPU. It has 4GB built-in storage expandable up to 32GB via a microSD card. The Slate N8 3RD tablet also boasts of a 3200mAh battery, which the company claims, will last up to 6 hours of surfing the web on Wi-Fi, 3.5 hours of watching video or listening to music. The rear of the Slate N8 3RD has a matte black finish. The rear also houses the speaker grill. For its connectivity options, you have the mic, microUSB port, DC in and the power button on the top of the tablet when held in landscape mode. The right of the device has the headphones jack, volume rocker and the microSD card slot. 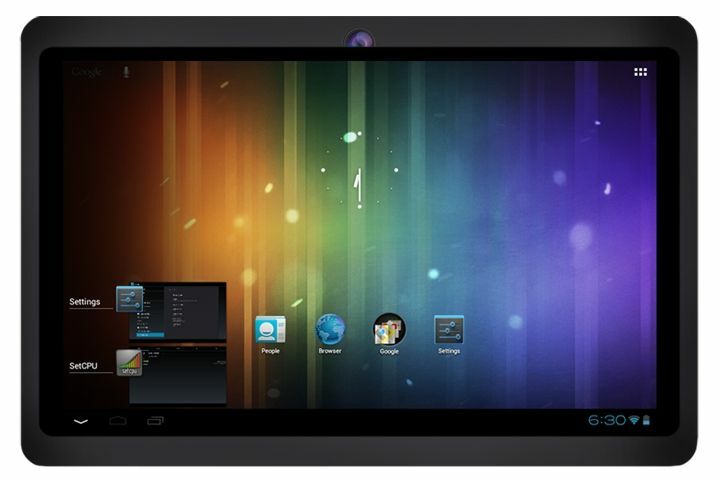 The front of the tablet has a VGA camera for video calling through Skype and other apps. The tablet not only supports Internet connectivity via Wi-Fi but through external data cards for 3G data surfing as well. In the box users get the DOMO Slate N8 3RD tablet, device charger, USB cable, OTG cable and documentation. The DOMO Slate N8 3RD runs on Android 4.0.4 ICS. 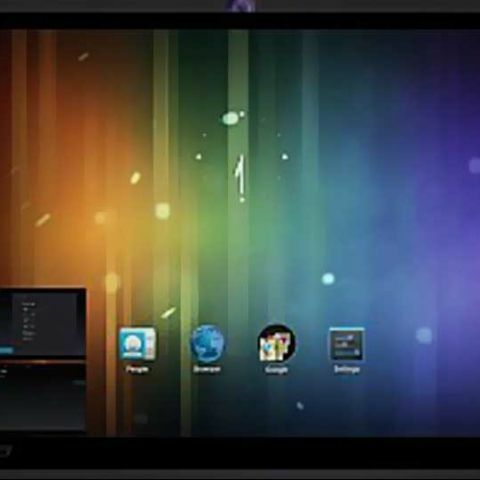 Running Android, the tablet also has access to the Google Play store, which gives users access to a plethora of apps and games to run on the device. On the tablet, users also have access to five home screens, which can be customized with app shortcuts and widgets. For the price you pay, the DOMO Slate N8 3RD gives users the experience of owning an Android tablet without the necessity of paying a lot of money. Setting up the DOMO Slate N8 3RD is very simple. Switch it on and connect the device to Wi-Fi. Enter your Gmail details and you are all set to use the device! All DOMO tablets come with onsite manufacturer’s warranty and their support website seems to have much streamlined support function through online ticket system, downloads and a detailed & meticulous Knowledge Base. Such Support module is one of its own kinds amongst the Indian brands.